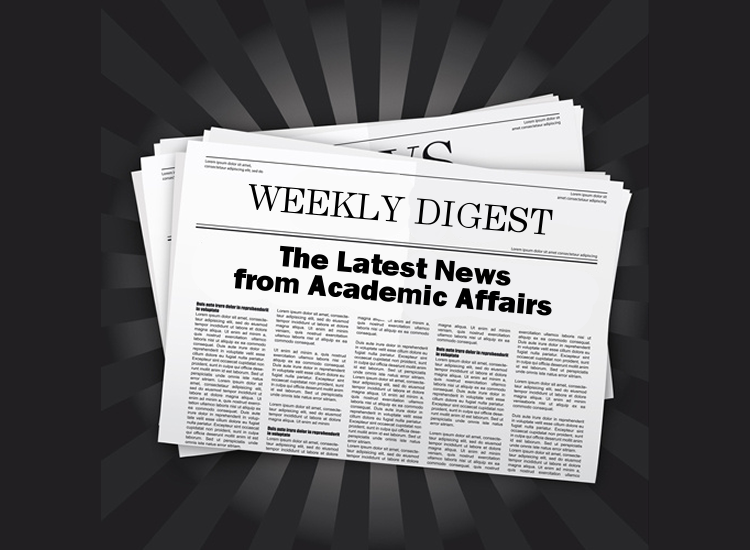 The Division of Academic Affairs (OAA) News Digest is distributed each Monday to Academic Affairs faculty and staff. It includes a compilation of information from departments and units in the division and replaces the individual emails sent from the Office of Academic Affairs email account. To have items included in the digest, complete the NEWS DIGEST REQUEST FORM by 11:00 a.m. Friday to be included in the following Monday's digest. If you have any questions, please email us at offacafr@uncc.edu. Notes: Do not send flyers; these cannot be included in a newsletter. Send text and images only. Also, be sure to submit events to the Campus Events website at https://campusevents.uncc.edu.